environment that thrives in making education exciting! 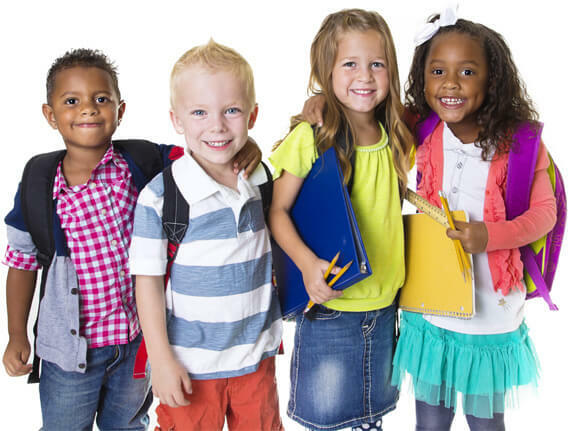 We have open enrollment for children 4 weeks to 12 years of age! Our infant program is designed especially for your extremely special loved one. Starting from four weeks to twenty four months. Your child is growing up fast and ready for a little more independence, our toddler program encourages age appropriate development and social growth through interactions with teachers and peers. In our specially designed preschool program, children are taught the necessary skills for social, academic, and life long learning. This is a perfect introduction to the necessary skills for kindergarten and further. With a wide range of activities including field trips, arts and crafts, imaginative play and physical activities, our teachers engage with your children to create a one of a kind experience for your child. At The Learning Center for Kids, we believe our program is unique in meeting the diverse childcare needs of the community as a non-traditional program by our hours, flexibility, and program design. We welcome the opportunity to be part of your child’s early education experience by providing you and your child a personalized program that meets your family’s individual childcare needs. Each of our schools are designed and licensed with the sole purpose of creating a safe, fun, and educational environment for every child. Every staff member is fingerprinted and background checked with the FBI, Department of Justice, and State Licensing Authorities. Also every teacher has classes in early education along with CPR and First Aide training. We give you peace of mind knowing that your very special child is in great care with us. With over 30 years in the industry we have been improving lives for the better for decades. From 4 weeks old to 12 years old every child is taken care of with their own individual needs in mind. From daily reports for infants to fun filled field trips for school age children, come discover the TLC 4 Kids experience. As an academic program, classes run from September to June designed to exceed the public school district guidelines. We insist on fun while learning to develop a curiosity and creativeness that will last a lifetime. With a progressive back-to-basics teaching style children are taught academic, social, emotional, and life skills, to get them ready for their future. With strong communication between staff and parents we can forge a lasting education that far exceeds their time with us. With the belief that we are a cornerstone to the community, we strive to increase relationships with not only our students, but the community at large. As our children grow up, their needs change. With strong communication between our staff and parents we ensure the care evolves for every child on an individual basis. Don’t just believe us, come in for a tour and let us show you. With innumerable activities throughout the year each and every day is a new experience. Whether that is a field trip during summer or a surprise visit from a magician we’ve got something fun for everyone. Especially know for our summer programs our school age children go on 2 to 3 field-trips a week. Your child will experience museums, live minor league games, indoor playgrounds, arcades, movies, parks, and more. Our Goals Speak for themsleves! As a cornerstone to the community we strive to make sure everybody is taken care of in their own individual way. At TLC 4 Kids we understand we are taking care of your most cherished loved ones and our goals are to make sure everyone is 100% happy. Happy children means happy parents, and happy teachers. Voted OUTSTANDING by our local communities! Our programs are designed for age appropriate academic, social, emotional, and life skills. Our excellent teachers understand the unique creativity and curiosity of each child and cater to the needs of each individual. Whether it’s comforting and supporting an infant, potty training a toddler, or help with homework for school age children we’ve got you covered. Our quality programs have been making life easier for parents for decades. Schedule a tour to see how these programs develop children into fun, smart, citizens of tomorrow. Tender Loving Care for your VIP. Designed with an academic structure to foster a life long love of learning. Designed to establish curiosity, creativity, and independence. An exciting program to explore the world inside and outside our facility. At TLC 4 KIDS, our dedicated staff believes that each child’s needs are to be met on an individual basis. Our communication between the parents and staff contribute to the success of each child’s development at his or her true potential academically, socially, emotionally, and physically. The Learning Center for Kids continuously strives to improve our program to meet the needs of the community and foster school and home relationships. Licensed and Insured we adhere to strict guidelines provided by the state. Our purpose built facilities have safety as their number one priority. Every staff member has been fingerprinted, background checked with the FBI, Department of Justice, and other state licensing authorities. All materials are age appropriate and cleaned regularly. We are blessed to be in an industry we love and we want to make sure that everyone in our community feels our infectious happiness. Our goal is 100% happiness. Happy kids lead to happy parents and happy teachers. 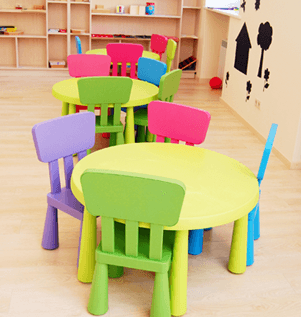 As second generation childcare center owners we have seen the industry develop over the last 34 years. With the unique experience of being both students and owners of our family owned and run centers we understand the needs of children, parents, and the business itself. We constantly look to improve our techniques and become a better influence on our community. Although a lot has changed in thirty years, a lot of what works best hasn’t.